Originally released in 1972 and now back in circulation, the Snoopy toothbrush set is ideal for big and small kids alike. 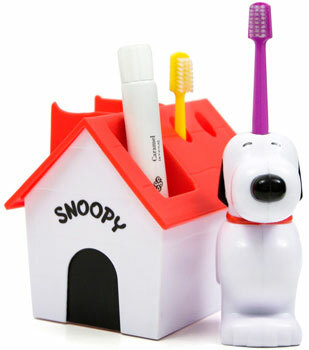 The updated set includes a toothbrush stand, Snoopy cordless power toothbrush handle, two toothbrushes and a coupon for money off kids’ toothpaste. All that for just $20 (around £10). I have an original version in good condition. What is it worth?